Janice Shade is an entrepreneur and writer who describes her work as “planting trees under whose shade she’ll never sit.” She gained over 20 years experience in strategic planning, brand management and financial strategy with Procter & Gamble, Welch’s, and Seventh Generation before launching her own entrepreneurial ventures in 2006. Since then she’s launched three nonprofit and two for-profit ventures with the common themes of local economic resiliency and democratic access to capital. Before launching The Initiative for Local Capital, she co-founded Milk Money, a pioneering “invest local” crowdfunding platform that supports Vermont’s entrepreneurial ecosystem. She is also a founding board member of the National Coalition for Community Capital and is seen as a national thought leader in this burgeoning movement. Her entrepreneurial and capital-raising experiences are the basis of an up-coming book that explores the impact of traditional capital markets on social entrepreneurism and provides a vision for how “Main St. investors” can be a positive force for change in their communities. Janice received a B.S. in Finance from Boston University and an MBA in Corporate Strategy from Yale School of Management. She is an avid skier and hiker, science fiction enthusiast and devoted soccer/ballet mom. She lives in Jericho, VT, with her husband, two daughters and dog. Beth co-founded VEIC in 1986 with partner Blair Hamilton, and served as its executive director for 22 years, remaining on staff in the role of founder until Spring 2017. She now continues to foster stewardship of the mission, values, and goals that are the foundation of VEIC and to further VEIC’s energy justice goals as a member of their board of directors. As a leader in energy efficiency and passive solar work for more than forty years (a career spanning several oil embargoes, a couple of wars fought at least partly over natural resources, and increasingly cataclysmic weather events), Beth has made it her life’s work to combat climate change, advocate for social justice, and create a progressive and flexible workplace. 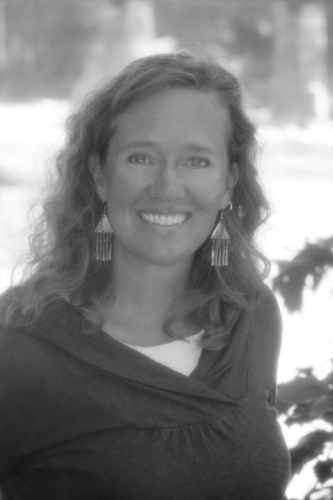 She serves on the board of the Vermont Energy Education Program and is secretary of the VEIC Board. She was the 2017 recipient of VBSR’s Terry Ehrich Lifetime Achievement Award. She holds a Bachelor’s Degree from Antioch College. Representing businesses throughout the country, from small start-ups to nationally known venture-backed tech companies, Eli’s practice involves providing sophisticated corporate legal advice across a wide spectrum of businesses and transactions. With a background in accounting and finance, a large portion of Eli’s practice includes multi-million-dollar venture capital deals, mezzanine-round commercial debt transactions, early-stage angel, as well as family and friend offerings. Named a Rising Star by the Vermont Business Magazine in 2011, Eli has been very prominent in the “Slow Money” and “invest local” movements, being referred to as the “go-to guy” for creative financing in Amy Cortese’s book “Locavesting.” Working with regulators at the Vermont Department of Financial Regulation, Eli has been instrumental in helping to relax securities law to facilitate raising capital, and he was directly involved in recent advancements to the Vermont Small Business Offering (VSBOE) and SUN Exemption. As director of investment & philanthropy, Jake is responsible for the Vermont Community Loan Fund’s fundraising, capitalization and communications strategies. Prior to joining the Loan Fund in 2005, he worked as director of development for the Richard A. Snelling Center for Government and more recently as director of corporate and foundation fundraising for Florence Crittenton Services in San Francisco. Jake also serves on the Board of Directors for Girls Rock Vermont and is a graduate of Brown University.